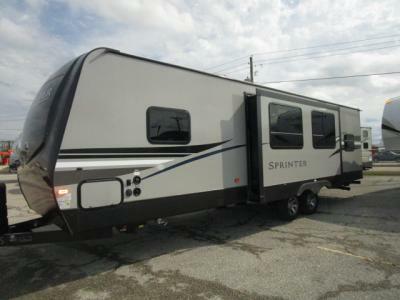 Your camping trip just got upgraded when you take this Sprinter Campfire Edition travel trailer to your favorite campground. 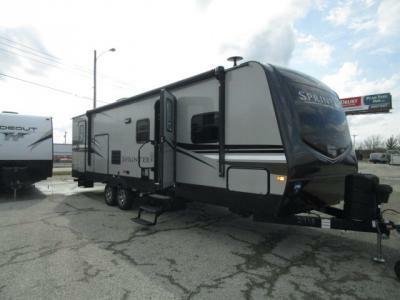 From the rear bunk above the flip-over sofa bed below, the bike/utility door for more traveling storage inside, and the dual entry for easy access for everyone, plus the floor-to-ceiling pantry, this model just makes sense for your family. 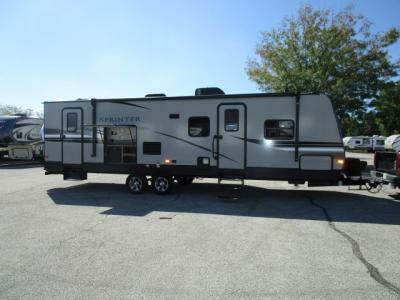 Just imagine relaxing outside under the awning with access to the outdoor convenience center, or watching the 40" TV and HDMI entertainment center inside the living area while relaxing on the queen-size tri-fold sofa. 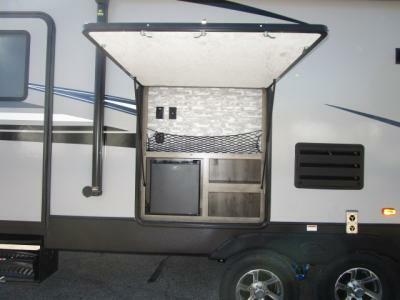 The range includes a glass top, the kitchen sink is extra large and includes a cover for more prep space, and you have dimmable lighting in the living room/dining slide out. This is the one! Redefine your camping experience with a Sprinter Campfire Edition travel trailer. You are sure to appreciate some of the advantages such as the Industry-Leading Limited 3-Year structural warranty for worry-free ownership, the in-floor residential heat ducts delivering heat where its needed, the exclusive color-coded wiring, and the eight-function remote providing an all-in-one remote for several features. 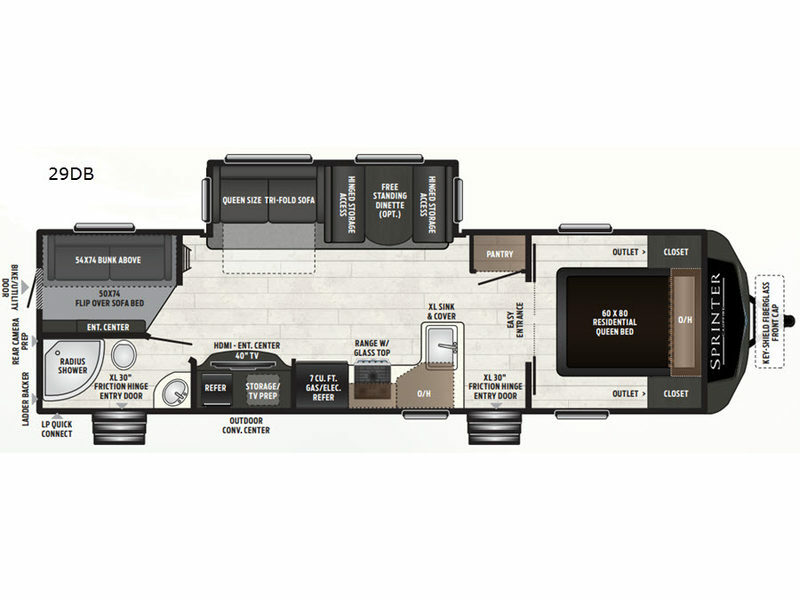 You will also find interior comforts such as crown molding cabinetry, a large stainless steel kitchen sink, LED interior lighting, and stainless steel appliances. Each model is also prepped for solar, a backup camera, and WiFi. Make camping easy, choose your favorite model!